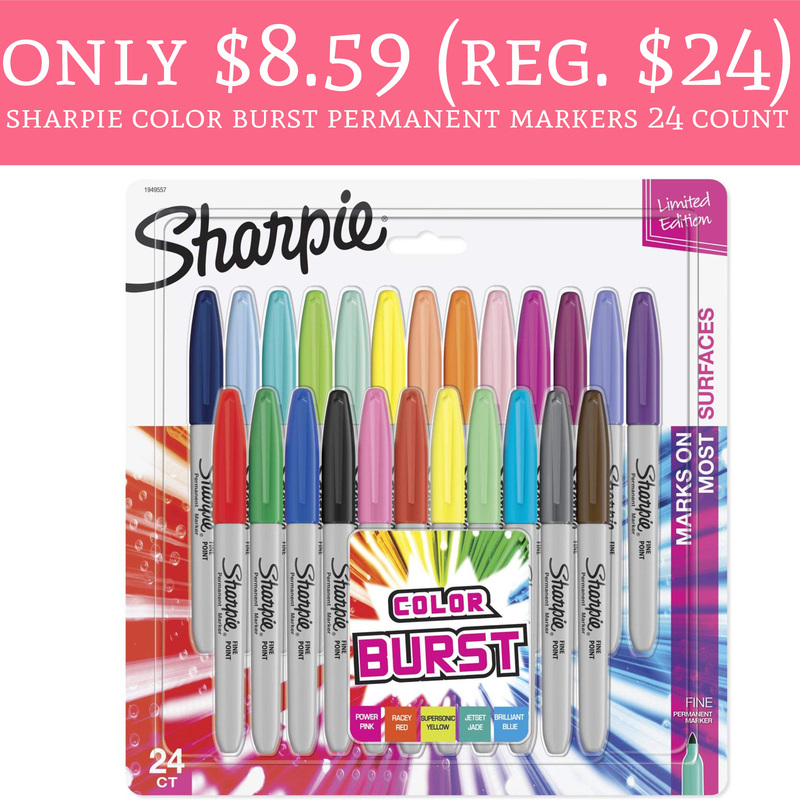 Head on over to Amazon.com where you can order the Sharpie Color Burst Permanent Markers 24 Count for just $8.59 (regular $24). Plus, shipping is FREE! These would make great stocking stuffers and this price is insanely hot for a 24 count of Sharpies! That’s just $0.36 each! Order yours here!